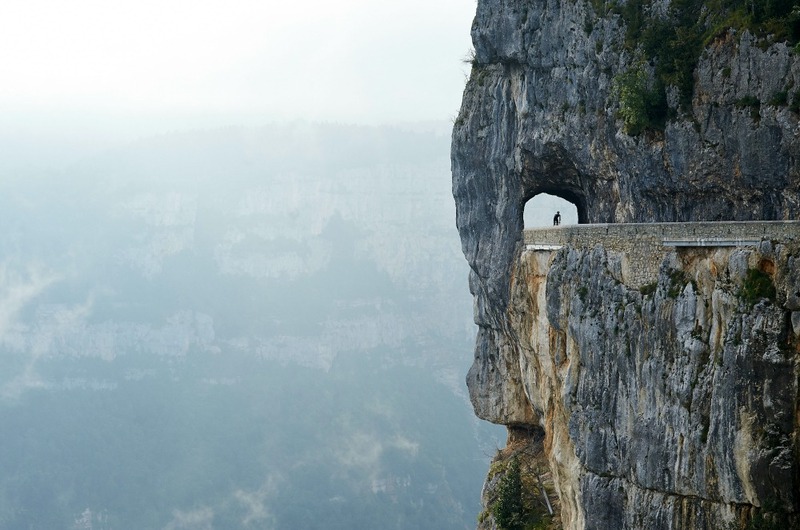 The Vercors in the Rhone Alps is a stunning, unique region in SE France with an unrivaled diversity of terrain from cliff hanging roads, rolling countryside to flat valley roads. From thrilling roller coaster rides through breathtaking gorges, to leisurely rides along walnut lined roads, the terrain offers something for cyclists of all abilities. Velo Vercors is perfectly positioned in the historical town of St Jean-en-royans to provide a huge choice of day routes, directly from our doorstep. We offer a warm welcome and personal service from our self-catering cottages (gites) and B&B accommodation within a relaxed, stunning location in the historical town of St.Jean-en-Royans. As well as providing cycle friendly accommodation we offer a full library of GPS routes, guided and independent rides,bike hire and transfers as well as fully supported day trips to Mont Ventoux and Alp d’Huez. We cater for groups, solo cyclists and families. Most importantly, we provide all the support and advice you need to get the most out of your stay drawing on our passion and 11 years experience of cycling in this stunning region. B&B accommodation with healthy cyclist's breakfast. Self-catered cottages with option to have breakfast. An extensive library of GPS/GPX files, maps and routes for self guided rides. 11 years experience and advice of cycling in the region. A friendly, social atmosphere and personal service to all levels of cyclists from individuals to groups. Large outside barn where guests can socialize, eat and relax with Communal BBQ, Kitchen area, TV and music system. Ice cold mountain fresh water canal for post ride wind down. Bike Hire - road, hybrid, E bikes. Day Trips to Alp d’Huez and Mont Ventoux. Tools, track pumps and workshop facilities. Communal washing machine with washing powder. Advice on other activities and cultural experiences for non-cycling guests. We fell in love with the Vercors and surrounding region over 20 years ago when Roger Dunne signed to a local team in the nearby town of Romans-sur-Isere for the last 2 years of his 12 year International/GB cycling career. The club was also home to the Tour de France yellow Jersey holder and local boy, Charly Mottet. Although Roger is no longer with us his legacy lives on at Velo Vercors and in his nephew Conor Dunne.